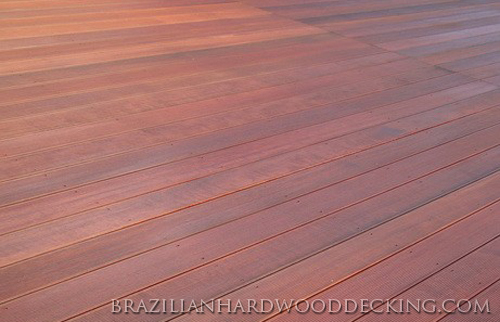 Brazilian Redwood, or Massaranduba, is one of the most vibrant decking materials out there, and is several times stronger than its domestic counterpart. That means less maintenance and more enjoyment, all bundled in a luxuriously attractive package! On top of that, Massaranduba is very affordable. If Massaranduba decking sounds right for you, then place your order! If you need more convincing, check out Massaranduba's impressive specs, or browse our image gallery.